Motorcycle Transport Trip 218 Leaving Cape Town for JHB and Durban. 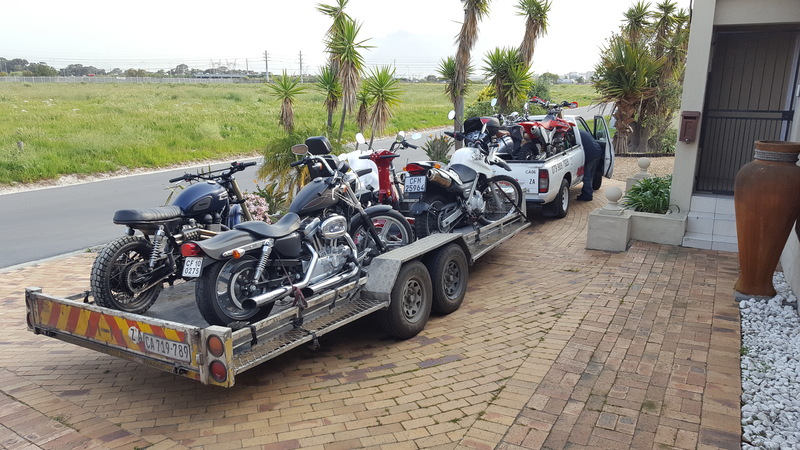 We transport motorcycles, quad bikes, tuc tucs, trikes and scooters. All makes of motorcycle. This trip about to leave for Stillfontien in the Free State to collect a GS 1200 to take down to Durban. Then deliver the scooters in Durban, collect a Honda 125 to go up to JHB. Weekly door to door trips all over SA and Namibia. 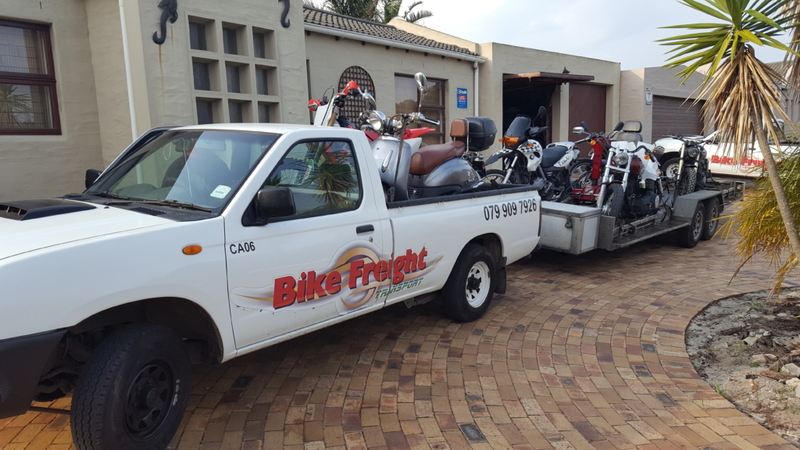 Deliver seven bikes in Johannesburg, collect 5 bikes and back down to Durban to deliver. Collect a KLR 650 in Durban then back to Cape Town via East London and Plett.